One-third of a year. That’s what it took, I guess, to clear my mind, gain some much-needed perspective and enjoy some free time. One-third of a year (four months) to come to terms with what this blog is all about. When I left, I was in a strange state of mind and could not really express – even to myself – what I was feeling about the blog. It was a mix of frustration, trepidation and even some anxiety stemming from a reaction that I had not expected. I wasn’t sure how to proceed and so decided not to proceed at all. But I have to tell you that I have missed you! I miss all of the great people who continue to visit this blog even in its time of slumber. I still have thousands of hits a week, still have hundreds of followers and still get emails from people who miss the blog. Obviously, you’ve not gone anywhere, so why should I? Rest assured, I have missed those of you who left wonderful comments and sent special emails when I said goodbye four months ago. And I have missed Martha too. That’s why Martha Moments is coming back. 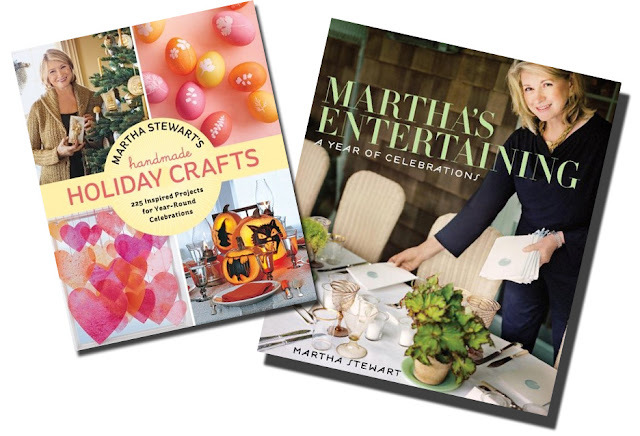 Two exciting new books on the horizon: Martha Stewart's Handmade Holiday Crafts on September 27th and Martha's Entertaining - the much anticipated follow-up to her 1982 authorial debut, Entertaining - on November 1. I think Martha Moments is a great site, a fun resource for fans and collectors of the brand, such as myself, and a great place to meet like minds. I know I have met so many amazing people from all over the world through the blogging experience and that is something I want to continue: people who love Martha and what she does, most notably the themes of domestic arts she supports in her magazines. Fans of the Martha Stewart brand are, in the end, all connected by a great sense of curiosity, a love of creativity and an understanding of home – and everything that beautiful word entails. You love to hear news about Martha's upcoming projects, books and product. You love the archival quality of the blog: documenting Martha's history and the history of her company for posterity: her magazines, her houses, her various projects and endeavors. You love the links to Martha Stewart resources and information about where to find her products. You also love the little sprinkles of me that I put into the blog, whichis so flattering: my own Martha Moments, which can be described (somewhat obscurely) as moments in my life where the influence or energy of Martha is felt. Each time I find myself thinking, “This is so Martha,” or “Martha would love this” it is worthy of a post: an excursion to the country, a visit to a flea-market or a great store, a wonderful garden, etc. I want to look back on Martha Moments and feel as though it met its mandate, certainly. But more than that, I want to look back and know that it was a fun place for you to visit: a repository of informative and exciting ideas, a portal to the bigger sphere of Marthaness, a library and archive of ventures and adventures in her world – and mine. It’s nice to be back everyone! Stay tuned! This August watch for a series of wall calendars, engagement calendars and postcard calendars from Martha. 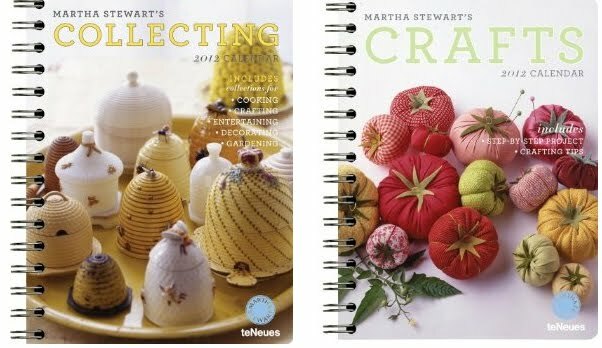 Created in partnership with Te Neues, the calendars will be based on some of Martha's core-content themes: gardening, cooking, crafts, collecting, etc. They will include templates and/or recipes. I am so happy to see you writing here again! This is the most beautiful blog I have ever read. You (and Martha) inspire me more and more every day. Thank you for making my life a little more beautiful. Hurrah! I have missed Martha Moments! Mary, YOU are beautiful! Such nice comments! Pleased doesn't even describe how I feel today! I even did a little 'yes!' out loud in the office just now! Yippee! You are back. Bring on everything Martha! Oh, I am so happy. Sentences just won't form! Martha Moments was missed! Sometimes a step away leads to moving 10 steps forward. Warm hugs to you my friend. So happy to discover your post in my reader this morning. 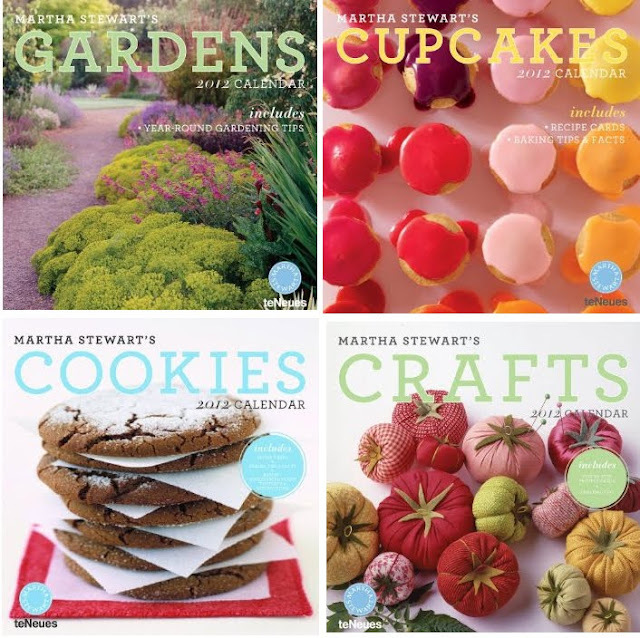 And also happy to see Martha's two new books will be available soon. Welcome back and thanks for all of the updates - "a good thing!" Glad you are back - love the blog - love Martha! So happy to see you are back. I was new to your blog when you took a break, so I was so happy to see a new post on Reader today. Looking forward to more Martha! I'm glad your back.com a sua volta. I'm so very glad to have you back! you were so missed. welcome home! Welcome back! So glad you are blogging again. Love everything you do. Glad to see you back, always enjoy your updates and postings and your photo blogs of your adventures--you take great photos by the way! so glad i left you on my rss reader! welcome back. you were missed. So nice your back to blogging. So glad that you are back - you have been missed! This is fantastic!! So glad you are back. It all looks so beautiful. Wow, some of those books look like instant getters. Good luck with your new schedule, Andrew. Sooooooo Glad to see you back!!!! Welcome back!! So happy you are back and look forward to all the "good things" to come! Love your blog!!! So so so happy you are back. I really missed this blog and kept checking back, hoping you would return! I am so glad you are back! I was catching up in my RSS reader and noticed new posts from you and was delighted! I really enjoy your blog and all the Martha moments you share! Especially the archival posts – it is so neat to see parts of Martha I was too young to witness! I just discovered you have resumed this blog. Thank you for your time and energies. It is part of my morning routine to find out all things Martha. Thanks and Andrew. Fabulous! I've missed you so.